I had been a fan of singing competitions on television starting from when I was a student. From Carrie Underwood's year to Jessica Sanchez in American Idol, to waiting for Mau Marcelo's performances in every Philippine Idol episode, Sheryn Regis's surprising Runner-up finish in Star in a Million, and the head-to-head battle between Kristel Astor, Charmaine Piamonte and Jonalyn Viray in the first Pinoy Pop Superstar, name the contest and I will tell you what happened. Recently though, I kind of begged off from these shows, or from television in general as I spend more time at work. 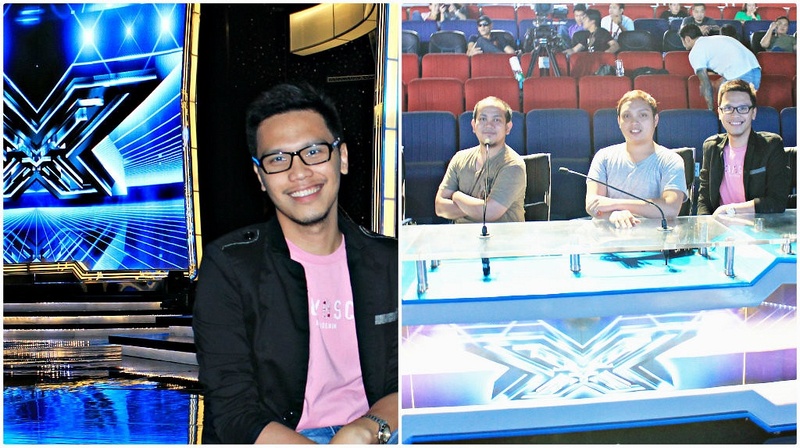 Invited by friends from ABS-CBN to spend 2 weekend days in PAGCOR Theater to watch the X-Factor Philippines live, the excitement kind of came back. 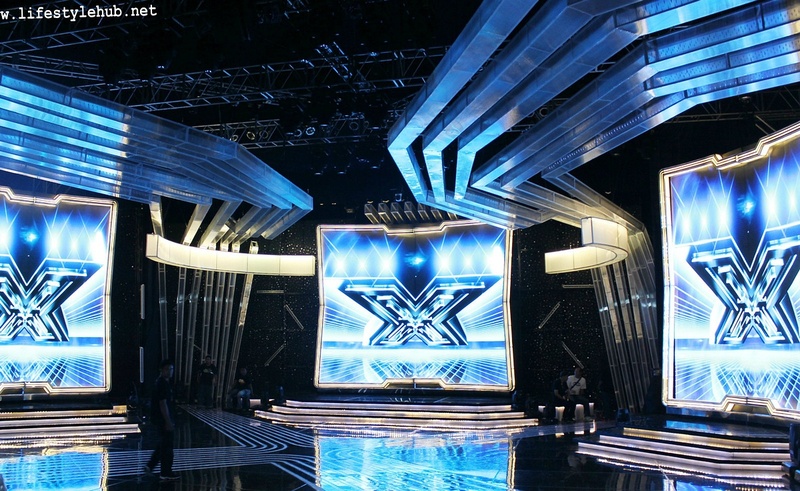 As we all know, X-Factor is a show conceptualized by former American Idol judge, Simon Cowell. It originated in the UK and was given a US adaptation last year. This year, ABS-CBN got the license for its Philippine version with host KC Concepcion joining well-decorated names in the local music industry who are serving as judges and mentors; Martin Nievera, Charice, Gary Valenciano and Ms. Pilita Corrales. During the weekend when we were given passes to live shows, there were 7 contestants left. 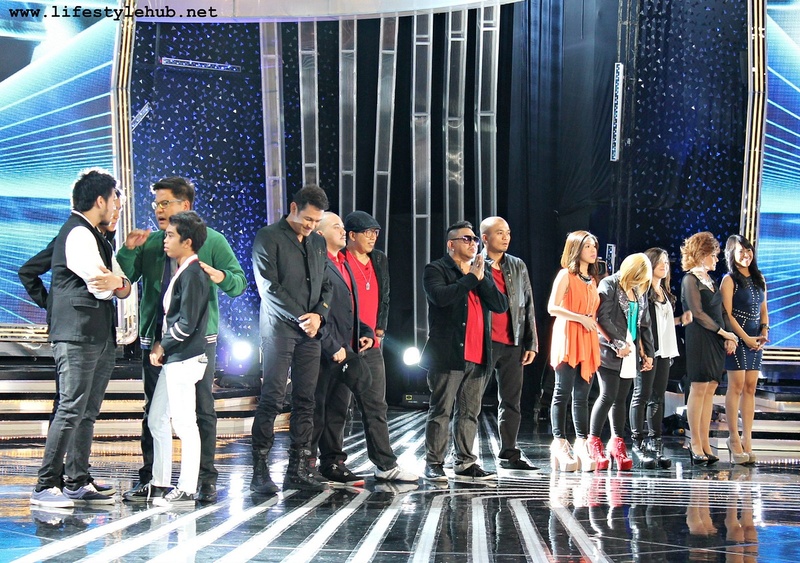 Martin Nievera's team of boys was still intact with Kedebon Colim, Gabriel Maturan, and Jeric Medina. 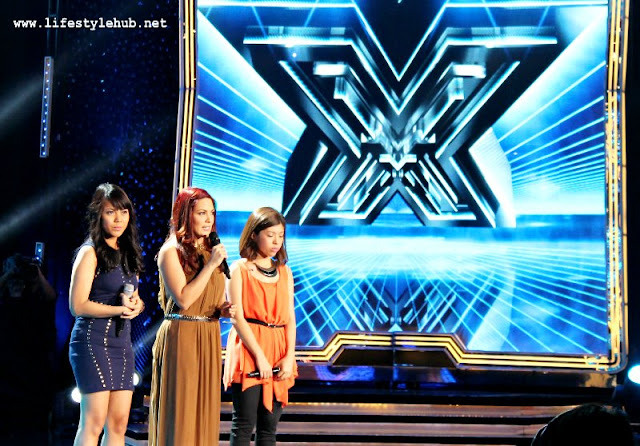 Charice had two girls left in her team; Allen Sta. Maria and KZ Tandingan while Gary Valenciano is left with one more group, Daddy's Home. Joan Da, on the other hand, is the only contestant left for Pilita Corrales who's assigned at the over 25 category. 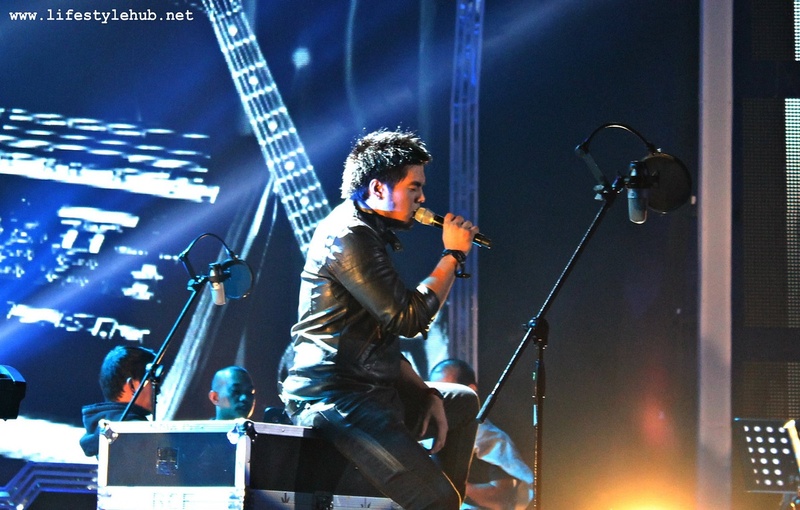 During competition night last September 8, I reflected on the Filipinos never-ending throng of outstanding singers. 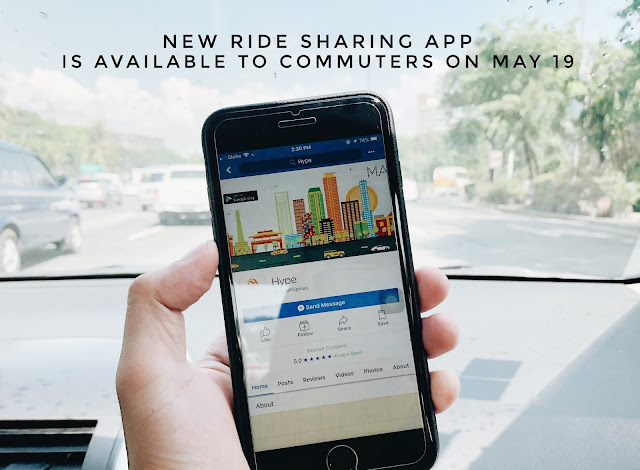 "Hindi pa ba sila nauubos? ", I said to myself. The remaining finalists of X-Factor are pretty talented too and it seems like they are stealing the attention of everyone as almost all contestants trended on Twitter that night. My personal favorite though was Jeric Medina. His rendition of "Careless Whisper", following that week's competition theme of 80's songs, was subdued at the beggining but soared at the second half. Jeric's husky tone was different from the field. Just a realization, don't we need another Lloyd Umali? Or our own Michael Bolton? Joan Da's rearranged "Billie Jean" performance was strong for me too. Not only with the very elaborate production number provided for her, evident on the very intricate choreography of her back-up dancers, her tone is unique too. I am not sure if you remember Megan Joy of American Idol Season 8 but Joan's tone is kind of similar which is perfect for jazz/ pop recordings and similar in mood to those of Corinne Bailey Rae and Norah Jones's records. The two stood out for me although the other finalists also did pretty decent performances. Gabriel Maturan sang Kenny Login's "Forever" and Allen Sta. Maria did a rehash of The Police's "Every Breath You Take". Daddy's Home did an "OK" performance of the Chicago ballad "Will You Still Love Me", while performing below average is KZ Tandingan who sang The Bangles' original song "Eternal Flame". 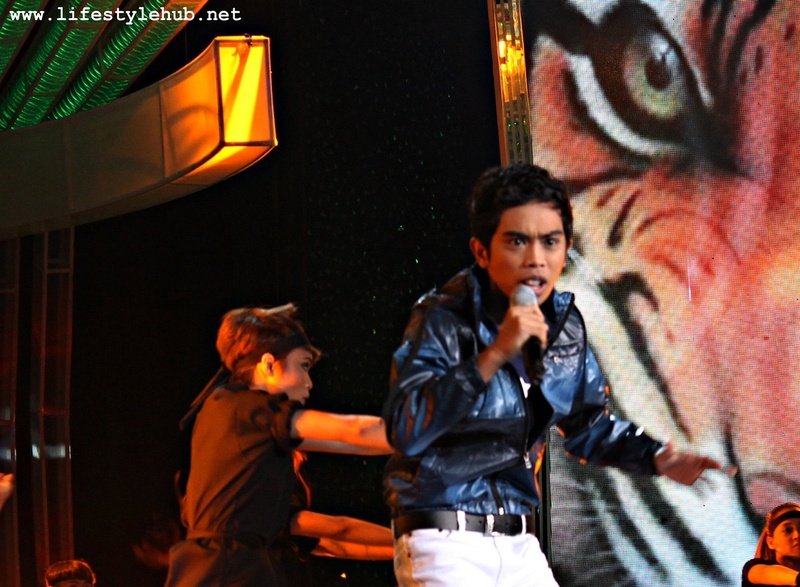 The controversial finalist Kedebon Colim performing "Eye of the Tiger"
I am confused though with Kedebon Colim. He sang "Eye of the Tiger", or as what I call, the boxer's theme. Pilita Corrales opened the judges' discussion and joked "Andito ka pa 'rin?". Gary V, meanwhile, rebounded for Kedebon saying that if Kedebon has a hundred bashers, he has a hundred thousand fans. It should be true. X-Factor's results are based 100% on text votes where the bottom 2 singers are picked and the judges get to decide later on who goes home. If Kedebon has no fan base, he should have been out of the competition already. Pilita Corrales's half-meant question is valid too. Kedebon would probably go down as the weakest singer in the remaining 7 finalists and for me, he would be tagged more fittingly as a "performer" rather than a "singer". But then again, how is "X-Factor" defined? If we base it on singing and packaging, there's no doubt Kedebon is in the wrong contest. 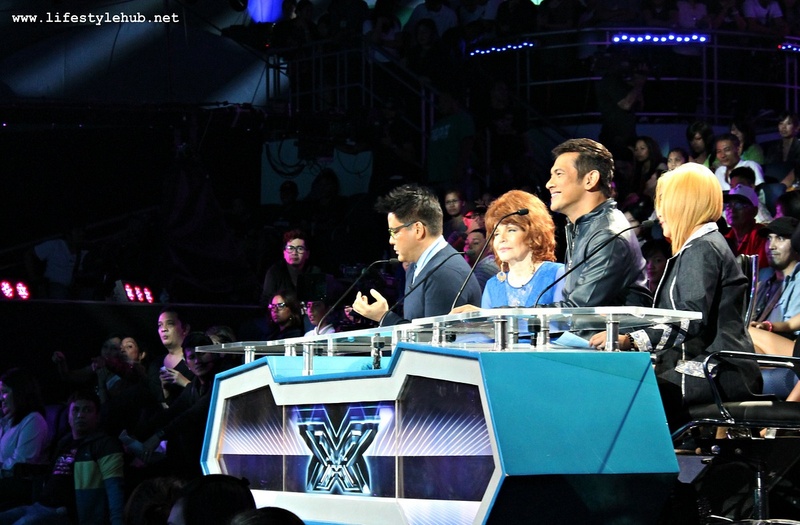 But if we base the judging on charisma and personality, then Kedebon might just win X-Factor Philippines. When the results night came last September 9, I was surprised when Joan Da was the one eliminated from the competition. Does she deserve it? Of course, no. Oh well, the more debate, all the more interesting the show will be. It's just gonna be simple after all. The contestant with the most votes wins. If you have your favorites, you know what to do. Vote!